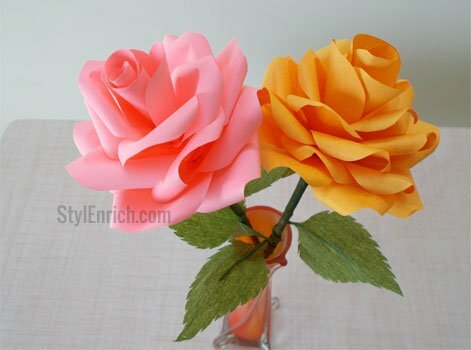 How to Make Paper Roses Step by Step Guide? DIY Craft Flowers are a wonderful way to spend free time! Since ages, Rose has been a favourite among poets for poems and a muse for artists and painters. Just like a painting and a poem, our video on how to make paper Roses expresses the feelings and emotions of a person in the best possible way, and handmade paper Roses just adds to the special factor. With the help of this paper craft video velvety soft feel, the sweet fragrance and the vibrancy of colors give us a reminder of the good moments of life while a prick of its thorn reminds us of the bad side. Let’s learn here How to Make Paper Roses Step by Step! 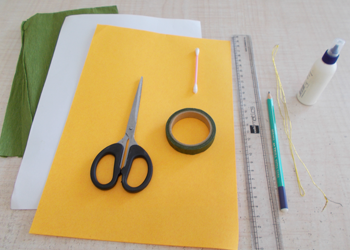 Let’s begin our session about how to make paper roses step by step! Let’s See Step by Step Procedure of How to Make Paper Roses! Step 1: We begin with making the stem of the flower. Use any colored paper of your wish. Cut a colored paper in half. Step 2: Start rolling the paper from one corner till you get the desired stem-like thickness. Stop rolling when you reach half way. 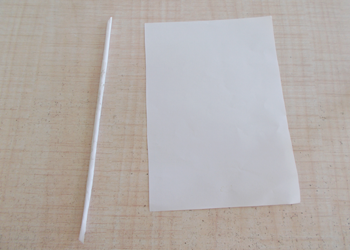 Tighten the rolled paper, cut the remaining part of the paper and stick with adhesive to finish the stem. Step 3: Now, take the paper of the desired color of rose you wish to make. Cut a strip lengthwise and 4cms wide, with the help of a ruler and scissor. Step 4: Fold this strip 2 times to get a 6cm*4cm dimension multi-layered paper. 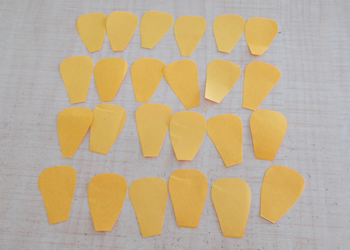 Step 5: Now cut the layers where they fold to give you equal sized papers to cut petals. Step 6: Draw the shape of a rose petal on one side of the paper, with a pencil and cut the rose petal. Make multiple rose petals like these. Step 7: Make a small incision right in the center of the base of the petal. Step 8: Now, take a cotton bud and slightly roll the edges of the petal and give a natural curl effect to them. 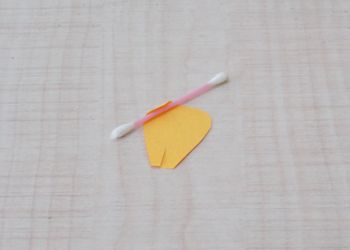 Step 9: Apply some adhesive to the base of the petals and start to paste them around the paper rolled stem. How to Make Diwali Diya Decoration From Plastic Spoons? Beautiful and Stunning DIY Wall Decoration Using Quilling & Ear Buds! Wall Decoration Ideas : How to Make Paper Floral Craft for Your Walls!